The following content will guide you as on how to watch all call logs and full chat message logs; sent/received via Viber. This cell phone and tablet app has gained lots of popularity in many parts of the world and up until recently, no monitoring service was offering the ability to track all Viber activity on your mobile device, but that has changed now, with some of the best services now supporting it. I will go over exactly what the spying software is capable of doing, and all the requirements needed before you can get started tracking Viber on your mobile devices. Very similar to Skype, Viber is an App available to download on – Smartphone, iPad, Tablets or even desktop. This app allows users to send and receive text message or make calls over the internet by using device data plan or connecting to Wi-Fi. This means that all the calls you make and texts are FREE. They do not use device’s call and text plan. Because of the ability to make free phone calls and send free texts over Wi-Fi or your data plan, Viber gained a huge userbase which includes many children, who often have limited mobility plans. By simply downloading the application, you can connect with anyone else also using the program. The service also allows for group chats and sharing pictures between all saved contacts. 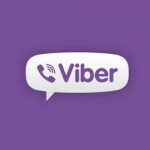 Why spy on Viber calls and chats? Viber seems to be more popular among kids than adults, but depending the part of the world you are in, Viber may also be a predominant favorite over Skype for business needs. If you have employee cellphones that you provide to your workers, and want to monitor communications, the advantages from that are numerous. As for parents, keeping your child safe when online is a difficult task, these spy apps will do just that for you, just like having a full time digital nanny. View whom your kids are speaking with. Protect your family from online predators preying on instant messaging networks. Better productivity from your workers overall. How does spy tracking software work for Viber? At this time, similar to Skype monitoring, the services that do offer it, are capable of providing full call logs with the numbers, names and time stamps, but not actual recordings of the calls. This is still very good, as this was not long ago impossible to do. Along with call logs, full chat and text message content is saved for you to view and access, including group chats and shared pictures. Log and save all Viber chats for you to access on your web panel. Access to all saved, sent or received pictures through the app. Visible names and numbers of all calls made through Viber. At this time, only 2 competing mobile cell phone spying services are capable of offering full Viber compatibility and visibility. Luckily, one of those just so happens to be the best spy software available at this time, mSpy. While FlexiSpy qualifies, the high price of the service is usually a turn off. After extensively testing both, either of them make a good choice according to my experience. With all the powerful features and long list of functions that mSpy offers, it makes a top choice for any monitoring and tracking needs, both for private and business use. 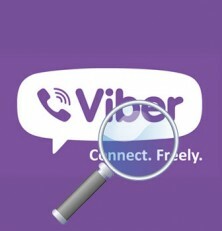 As for Viber, it is fully supported for both Android and Apple devices and works wonderfully. Matched with a great online control panel, anyone can learn how to use it in minutes, and we did not experience any problems getting our Viber reports back, or any other bugs or issues for that matter. Above most of the competition, mSpy is a leader in the industry and certainly worth considering as a first choice. 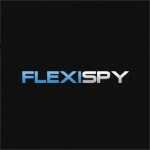 The other service that we have tested as being capable of tracking all Viber messages and chats, is FlexiSpy. It works exactly like the two others and provides the same similar control panel information including call logs and what not. The only difference is price. Although FlexiSpy is not a terrible provider by any means, similar competing packages cost almost half of what they are currently charging, and for that reason, I would go with another service. But, if money is no issue, than Flexi is in the game as one of the best options available for a wide range of monitoring needs. There is a standard minimum requirement check list for all instant messengers. This includes Viber, but also social media networks, Whatsapp, Skype and any other available similar functions. The first is that these services are only compatible with Android and Apple phones and tablets. And depending on the device type you are using, you will need to either root or jailbreak it. Android: Rooting your Android is not required in order to use spy software or even install it. However, when it comes to monitoring Viber and all instant messenger and VOIP apps, it is required to root the Android before, so that you can take advantage of these features. Rooting your mobile Android device presents a large number of perks, but there’s lots to consider before doing so. If needed, our introductory guide will also tremendously help you safely root your hardware. Apple: For iPhones and iPads, the user needs to have the device jailbroken before being able to install the spy app. If you don’t jailbreak your device, you will not be able to install any third-party app, hence beyond being needed for Viber, you need it to actually start using these services. Viber, and VOIP / messaging apps are third party applications that you download and install for free. But because it is separate from the cell phone or tablet’s native included functions, it has been impossible to have visibility on a tracked device for many years. Many employees or teenagers know this, and have for a long time used these free apps to hide activity that would otherwise be unauthorized for their devices. While we do not suggest that you start spying on your kids, having a watchful eye for dangerous keywords that may regard drugs, profanity or dangerous activities, can effectively be used to alert you to check on chats only when needed, avoiding the need to invade their privacy. I hope this article has given you all the information you needed or required to know about spying or monitoring Viber activity over mobile devices. As mentioned, the two main choices remain StealthGenie and mSpy, and while FlexiSpy works fine, the cost is reserved to those with deeper pockets. I and my partner have extensively tested all three of these, so we speak from experience when we say they work well and should leave you with a very satisfactory experience. If you happen to have more questions, drop us a comment below and we will answer as quickly as possible.